Tori Spelling just went to a doctor to check on her unborn baby after she got in some sort of an accident at her kids' school as a photog was chasing her. 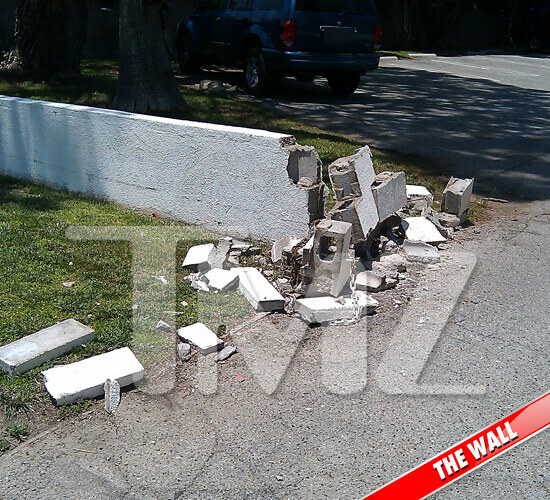 The photog -- not from TMZ -- actually got out of his car after she crashed into a wall at the school -- taking it down -- and began shooting pictures of Tori. Tori just tweeted, "Paparazzi chased me w/the kids 2school. I was trying to get away from him and had a pretty big accident ... 10 school moms chased him away. Wht will it take? Someone dying for paparazzi to stop? Going to dr now to check on baby. I think its just shock." No word on what the doctor said.